This stop? Staci Troilo’s site currently hosted in Fayetteville, Arkansas, USA. Prizes awarded to US commenters only. Today I want to talk about weaving history into contemporary stories. I like a good historical tale every once in a while, but I tend to read contemporary fiction a lot more often. That doesn’t mean history has to be abandoned, though. The Internet has made this research not only easy, but virtually instantaneous. Curious about spear size and shape in the Roman Empire? Recipes in Colonial America? Ascending to the throne in Ancient Egypt? A few keystrokes, a few clicks of the mouse, and boom—there’s your answer(s). When you’re incorporating your research into your stories, you might be tempted to include all of it. I mean, it’s fascinating stuff, right? That’s why you saved so many posts and articles and stayed online for three hours longer than you needed to (but time management is another topic altogether). Please don’t include all that information in your story. As much as you love research (I know I can’t be the only one), this isn’t a report. It’s a story. While it may fascinate you to know that Isaac Newton’s theory of gravity was influenced by his study of alchemy, you really should leave that detail out. Unless it’s germane to the plot. When you’re weaving your research into your story, it’s best done if the information is revealed organically. There are a few ways to do it. I know, that doesn’t sound revolutionary. That’s pretty much how we reveal all information. But let me explain. That’s a great example of what not to do. When characters are discussing something, they can reveal new information to each other. Key word there? NEW. Don’t have one character tell another something he should already know just to relay the information to your readers. It comes off as forced, and it takes the reader out of the story. In the Medici Protectorate series, the heroes of the story are four men who have been tasked with guarding the four heroines. The women have no idea that they are secret descendants of the Medici. When it’s clear they are in danger, the men reveal their history to them in a group meeting. This isn’t the “As you know, Bob” type of dialogue. This information is new to both the readers and the characters, so the conversation isn’t stilted or awkward. This is a great way to impart historical information. Granted, a girl born in 1971 isn’t going to be able to remember Atlantis before it fell into the sea, but she can remember learning about Plato’s Socratic tale of the mythical empire. In the Medici Protectorate series, I use an immortal to pass knowledge down to characters. (Back to that alchemy-thing again.) Having mastered the powers of the Philosopher’s Stone, my character conquered death and has been alive since the 1500s. He reveals important details to the characters through his direct memories. Finally, the fastest way to tell the characters something is to actually tell them. This goes against the standard show-don’t-tell philosophy, but sometimes that’s okay. You want to show important information through your characters interacting, but sometimes you need to just give the reader some details without smelling lilacs on the breeze or tasting every flavor nuance of a gourmet meal. This fast and easy information reveal is best done through exposition. Be careful with this tool, though. Used too frequently or lasting too long, and it becomes an information dump. You don’t want that. In the Medici Protectorate series, the four leading women own a building and design business. Franki, the architect, is working on designs for a corporate campus whose exterior will blend in with old world Italian architecture while the interior will sport all the modern conveniences and state-of-the-art advancements. As she’s working on the project, she reflects on Italian architecture and design (this design is actually pertinent to the plot, so it’s not extraneous information). This is knowledge she has from her education as well as from a visit to Italy, so while she’s thinking about this information, reflecting on these details makes sense. She’d sound professorial if she talked about it with other characters, and there’s really not much for her to think back on, so exposition is the best way to reveal this information to the reader. I’m really enjoying writing the Medici Protectorate series. It started because of my heritage, but through extensive research, it’s morphed into a contemporary romantic suspense saga with a lot of fascinating historical relevance. I’ve learned about and incorporated Italian political information, Medici family histories, ancient Roman architecture and mythology, alchemical properties, and martial arts battle tactics into this series. That’s a lot of history for a modern tale, but the research was fun and the details add a richness to the work. Thanks for stopping by. I hope you found a strategy you can use in your own work, and maybe some of my examples will entice you to look at the Medici Protectorate series. It really has a little something for everyone in it. Remember, leave a comment for a chance to win one of my prizes, and don’t forget to visit the other blogs today and all month long. Book One, Bleeding Heart: Gianni, a warrior destined to defend the secret legacy of the Medici, protects his charge Francesca from a prophesied assassin. Their worlds collide in passion and violence, and he must conquer her fears and his demons in time to save them both. Released August 2015. Book Two, Mind Control: Vinnie copes with his own identity issues while he struggles to protect the one prophesized Medici descendant, Jo, who refuses to embrace her heritage. With lives in peril, can they find the strength to overcome their tragic pasts, or is it too late? Released June 2016. Book Three, Body Armor: Nico works to increase his powers and save the Notaro family matriarch, but his private agendas put his charge Donni’s life at risk. When secrets and lies result in three abductions, the group will need to place their trust him to save them all. Coming Summer 2017. Nice presentation. I always have problems sharing facts with readers. If I use exposition for even one paragraph, authors shout ‘show and not tell’ in my reviews. I solved my latest problem by using dialogue to refresh readers’ memories and add new info from book one. I do love a good research paper. Dialogue is a good way to add details. But I think some exposition is okay. Some facts are kind of background and not too important to the story (while still crucial). In those instances, I like exposition. And I love research papers, too. A very interesting post, Staci. I also love to research but try not to do overkill when I incorporate facts into writing. Your tips are most useful. Thanks, Robbie. Happy to find another research fan! Hi, Staci! I’ve been in hospital for a few days and missed this great tour post. Just wanted to pop in and offer my support and reiterate that I’m eager to begin reading ‘The Medici Protectorate’. Great post! I hope all is well now, Soooz. Sending you hugs and well wishes! And thank you for the kind words. I appreciate it. That’s a relief to hear! What an interesting premise for a story – I was a Renaissance art minor in college, so of course the Medici hold a great draw! Research is the most fun part of writing for me – a did it all my life in science – and I think you gather experiences on which to draw as you mature (notice I did not say age)! I will definitely samlpe your books! Your major sounds fascinating. I would have loved that. Nice to connect with another research fan! Thanks for commenting. Really liked your post about incorporating history into your contemporary novels. I’ve had to do that in one of mine. One I handled when the heroine was given a blood ruby, the other when a little boy explains the history of the town as he takes the h/h and other to a castle. They knew the history, as we did, so the characters said (altogether now) “We know!” That was fun to write. I hope you’re having a great blog tour and good luck todagy. I bet that was fun to write. A fresh take on fixing the “As you know, Bob…” problem. Thanks for sharing! 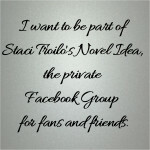 An interesting post about doing research and finding inspiration for your writing by talented author Staci Troilo. Great blog post Staci. Reblogged and shared on social media. I tend to outline the plots of my books and then research as I write. I often use my own business experience and weave this into my romance stories and it’s lovely to hear your family connections to the places you write about. That’s pretty much how I do it, too, Lizzie. My outlines aren’t extensive, but I do need a roadmap to follow as I write. I’ve never found that my research takes me in a different direction. It does, however, enhance the plot and provide great details, though. 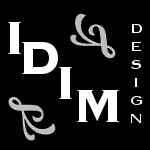 I love that you use your own business experience in your work. That’s something that can really enrich a work. Oh, and thanks for both commenting and sharing on your site and on social media!